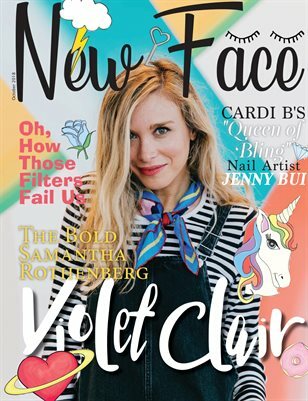 October's issue features the creator of Violet Clair, Samantha Rothenberg. Popular muralist and illustrator taking Manhattan by storm. This is the Artistic issue. Every month Nfm brings trends on beauty, tech, food and influencers. Open submissions.